Celluloid Junkie: Your background was with FMCG and telecoms prior to becoming CEO of Odeon & UCI. What parallels did you see between those industries and the then cinema sector? Paul Donovan: At the simplest level they are all customer-facing businesses. Like cinema those companies tend to have with very large customer bases, they have large semi-fixed operating costs (factories or networks) and have to cope with constant technological change. They also both benefit hugely from driving customer loyalty and usage, which is where they are probably ahead of cinema in capability terms. Film is a lot more fun though! CJ: At CineEurope 2014 you ruffled a few feathers by observing that the cinema business is inward looking and slow to change. Did you see any major changes in the following years? Paul Donovan: In 2014 I was really surprised at how people reacted to what I said at CineEurope, both positively and negatively. It surprised me at the time because I did not think I was being very controversial. In the past three years I have seen a lot of change in terms of change, but Exhibition is still a very fragmented business, and it would not be realistic to expect everyone to adapt to change at the same rate. In terms of studios I see signs that some “get it” in terms of genuine customer focus and that some still hope that they can carry on in the same way as they always did! CJ: So what were the greatest changes to the industry during your time at the helm of Odeon & UCI? Paul Donovan: The biggest changes I saw were in two areas. Firstly a realization that digital needed to go beyond the screen to all the processes of the business – so I have seen a lot more interest in on-line sales, analytics, and CRM to drive value. Secondly a conviction that the pioneering work done on luxury seating by AMC in the US could be replicated elsewhere. So there has been lots of testing which is now resulting in some overdue upgrades in terms of guest comfort. The first movers in reseating have seen benefits for sure, as guests vote for a more luxurious cinema experience. CJ: You’ve said before that “we are not exhibitors but cinema operators.” Can you elaborate what you meant by that? Paul Donovan: There is a story here. At one of my very first CinemaCon meetings after joining Odeon a senior studio executive said to me “Paul, you have to realize that you are just an exhibitor, you provide a screen and four walls and without us you would be nothing”. It seemed to me at the time that the term exhibition was a bit passive. We run large complex multi-site retail and leisure businesses, carefully managing efficiencies and guest yield, and applying as much science as art to our enterprises. So operator struck me as a more positive and proactive term than exhibitor. CJ: Apart from Odeon & UCI, who do you feel has been doing a good job of customer service and in what way? Paul Donovan: This is an area where everyone is raising their game, and by customer service I mean the total customer experience, so I won’t pick out any particular companies. There are a lot of people doing great things. The people who are winning are not just those with the most money or the newest estate but those who are really embedding guest focus in everything that they do. This is where people can make a real difference. You generally don’t work in a cinema unless you really like film – and that’s a head start over the people in many other industries if that passion translates to great service. CJ: Coming back to the issue of consolidation in the global industry, what do you see as the driving factors and where do you see things heading? Paul Donovan: Consolidation is an inevitability. It feels a bit like the mobile industry in the early 2000’s, when acquisitions gathered pace and then a domino effect took place. Wanda through AMC have made some massive moves in a very short period of time, and other players will surely follow so that they don’t get left behind. The focus will be initially on the highest quality assets, or those with the best local market share positions, and then on filling in specific geographic gaps. In five years time I predict that 50% of the global box office will be in the hands of 6-8 major international players, each of who will have an anchor geography as their core. There is plenty of funding out there at the moment so it’s a good time to think about expanding. CJ: In talking about distributors, you’ve said that it is not a partnership but a relationship. How will that relationship evolve, particularly post-VPF? Paul Donovan: There are signs of partnership emerging – but distributors are a lot more conservative than they would like the world to believe. Many senior people have in role a long time and prefer the status quo. In marketing terms distributors are adapting more slowly than exhibitors and are still too US-centric in their approach, for a global business. For the relationships to move beyond wrangling over film terms and the never-ending debate on windows, there needs to be more trust. For trust to emerge there needs to be deeper cooperation, and that can only be achieved by working together on specific programmes with the potential for win-win outcomes. Decades of mistrust are a real barrier. The endless debate on windows rumbles on, and until someone finds a mutually beneficial solution which can work globally it will remain an impediment to true cooperation. CJ: When you took over the reigns at Odeon there was an industry perception that previous management had sold off the family silver (Odeon’s property portfolio) to keep the company afloat as Terra Firma tried to sell it. What was your mandate when you took over? 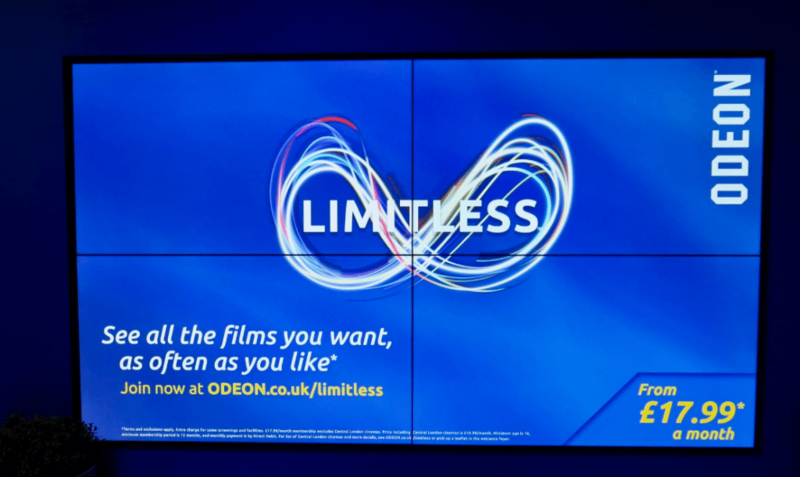 Paul Donovan: Odeon and UCI management had a pretty simple mandate from owners Terra Firma. Work with them to create a new strategy for the business which was based on the existing capital structure. Then execute it flawlessly to create the conditions for a sale three years later at a specific value. In the end we met the brief. CJ: Can you tell us about some of the changes that you implemented that you are most proud of? Paul Donovan: Looking back I guess the changes I am most proud of were shared with the broader management team. Building on the company’s existing talent and with the addition of only a few key people from outside the industry we were able to transform the commercial and operational performance, and to become an exhibitor that distribution genuinely wanted to work with. We grew market share, increased guest satisfaction, transformed our retail offer and built a high performing culture. People are at the heart of things and I was delighted that the business was recently recognized as one the top 25 large UK companies to work for in the Great Place to Work awards, the only cinema company to do be recognized in this way. That would have been unthinkable in 2014. CJ: And what were some of the initiatives that perhaps didn’t pan out? Paul Donovan: The initiatives that didn’t pan out? Lots! We had a specific strategy of test and learn – so rapid prototyping became the norm. If an initiative didn’t work we simply moved on and tried again. The learning from failure is often more valuable than that from success, so its best to embrace it. CJ: How far did Odeon & UCI as a company get down the road of data analytics and how far has the industry as a whole come? Paul Donovan: Ian Shepherd, our Chief Commercial Officer was the architect of our CRM and data and analytics strategy. He created quick-win improvements in the web and CRM space on a country by country basis. But the real progress was in creating a pan-European platform and set of capabilities which has allowed for company-wide learnings. I guess we saw ourselves as being about a third of the way along the journey by the time of sale. CJ: Is there tangible proof that better use of analytics can drive customer frequency? Paul Donovan: I believe there is, but at the moment only on a micro campaign basis. There is still a need to build bigger, more richer customer databases and to put the right tools in the hands of the marketers to prove it on a wider basis. Consolidation in exhibition will help, because it will result in more investment in both systems and people. CJ: Was the introduction of the ‘Limitless’ card a big step or a no-brainer? Paul Donovan: I can’t comment specifically, other than to say I am a believer. If you have movie oriented customers who can be encourage to come frequently they will bring others with them, will be bigger advocates of the medium, will boost the performance on non-blockbuster content, and thus will drive overall revenues. So for me the use of frequency driving offers – however they are designed – is a no-brainer. 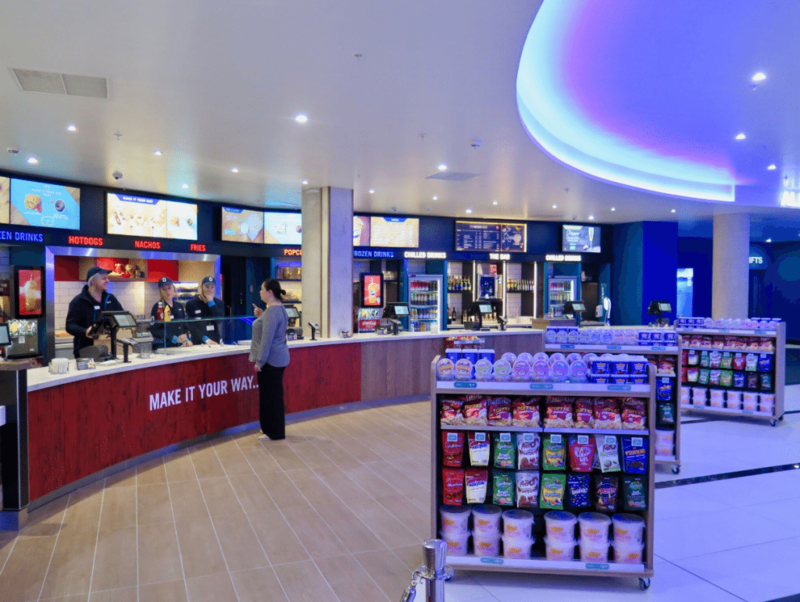 CJ: Cineworld and Vue grew aggressively through acquisition across Europe during your time at Odeon. Was it a cinema Champions’ League or were you playing different sports? Paul Donovan: I have huge respect for both those companies, and for their leadership. Each of us has quite different strategies – and remember that at the time we had limited cash for new site acquisition. Where we did come head-to head was in the weekly battle for Box Office market share, and there I was more than happy with our performance! 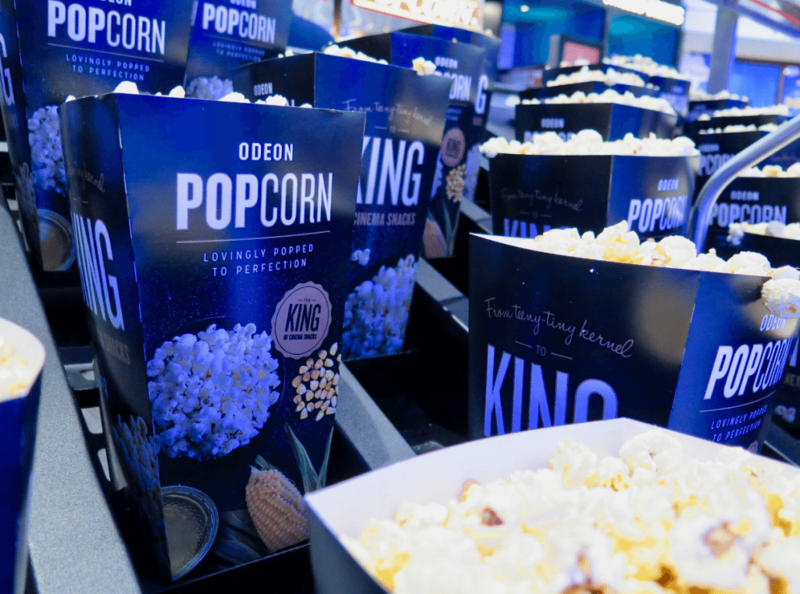 CJ: Can you tell us a bit about the biggest changes in F&B and retailing at Odeon in the past few years? Paul Donovan: I think the biggest change in F&B has been the improvements made in range and quality across the board. 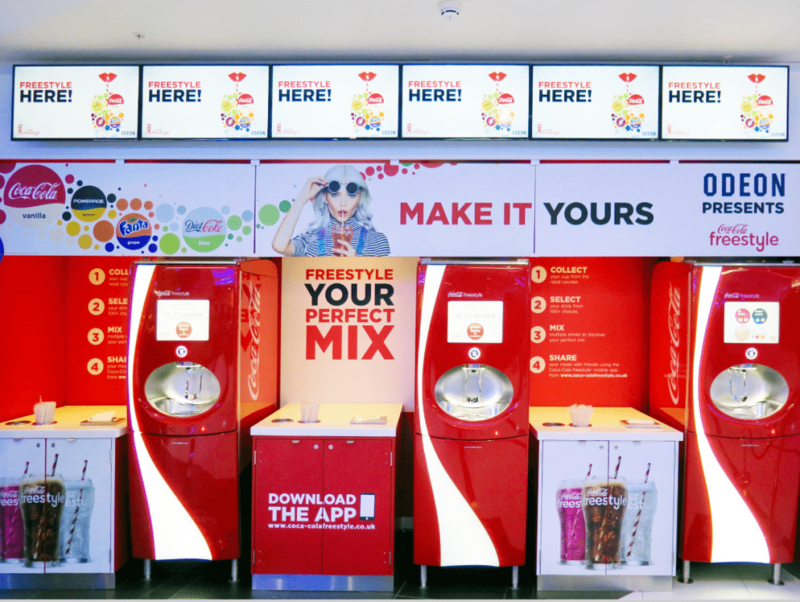 In-cinema dining, the roll-out of cafes and bars, and the improvements in core offerings such as Coke Freestyle machines has all helped to drive up revenues, often ahead of ticket prices, which broadly track inflation. 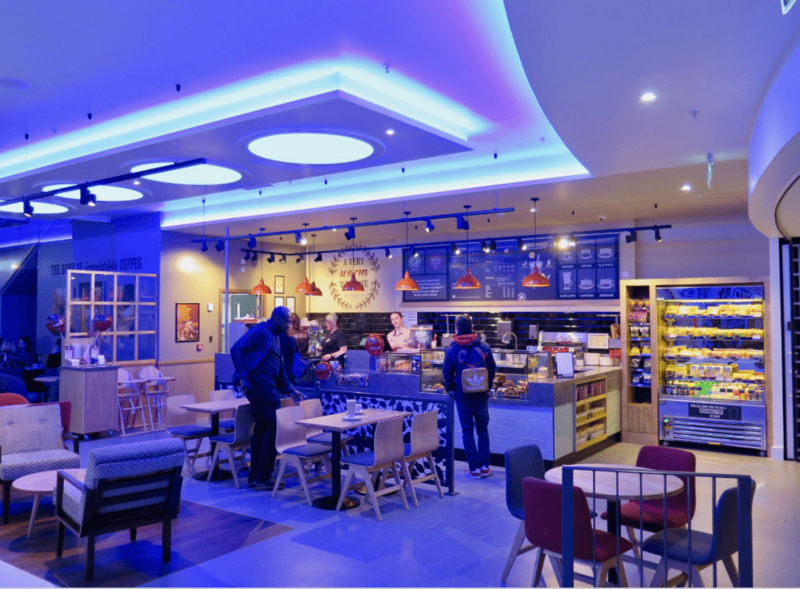 CJ: Are there further ‘culture changes’ required in the whole area of F&B and retail? Paul Donovan: At a cultural level I am still unconvinced that exhibitors are world class F&B retailers yet, or indeed that we have that mentality. There are just not enough people in the industry who understand retail in sufficient depth. But that is an opportunity for us all to do better. CJ: Can you provide any insights into the sales process of Odeon & UCI? Was AMC always the obvious candidate? Paul Donovan: For obvious reasons I can’t comment in too much detail. What I can say is that from the get-go I was impressed by Adam Aron’s level of ambition for AMC and his clear intention if successful to invest in the Odeon and UCI estate, which was needed. At the end of the day I believe that the sale was a great outcome for AMC, who got a great asset, for Terra Firma who managed to exit after 12 years at a good price, for management and for the 9,000 Odeon and UCI employees who have a new owner who is determined to make the most of the business. CJ: Did you know that you were going to step down once it became apparent that AMC was going to be Odeon’s new parent company? CJ: How have you enjoyed your time since leaving Odeon and – obvious question – what interests steer your future career considerations? Paul Donovan: After working flat out for three years and then stopping suddenly I experienced initial month of “adrenalin hangover”. Since then I have tried to use my time well. I have taken a few holidays, but am not really someone who enjoys sitting still. I have done some strategic consulting in the areas of sport and telecoms, and have been working to establish a charitable foundation, which has been very rewarding. So I am busy. In terms of the future, I am looking at CEO or Chairman opportunities in private equity. I’d like to think that I might be involved in some way in the broader cinema industry after 2017, but I’ll leave it to others to decide if and how that might happen.